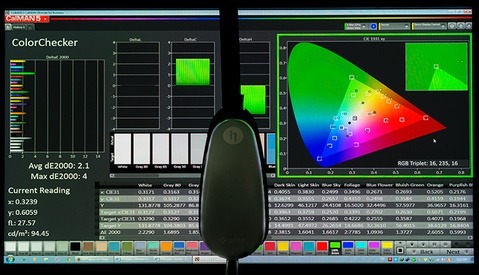 Datacolor is one of the obvious go-tos when it comes to monitor calibration. Today, the company released its latest calibration tool. While it's more accurate, the most exciting development with the SpyderX is how fast it is. If you already have a monitor calibration device, you might be used to seeing reminders to recalibrate your monitor from your favorite monitor calibration software utility. Many of us ignore that. And the truth is, the actual need to actually recalibrate isn't as often as you are inevitably reminded unless you're involved in the most color-critical work. So, naturally, we skip it. The problem is, we don't skip it once or twice. If you're like me, it's been well over a year (let's face it — two years) by the time you actually recalibrate that monitor. And why? Because none of us feels like we have the time to spare. 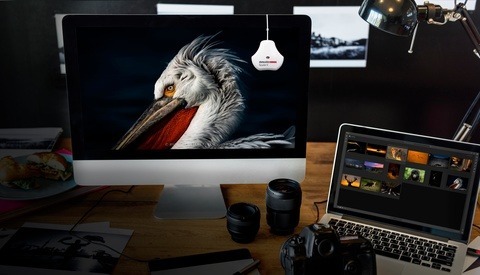 Datacolor's new SpyderX brings down that 10 or 20 minute calibration time to less than two minutes. With color measuring times that fast, we might find ourselves actually making use of our calibration tools more than just the single time we first take them out of the box. 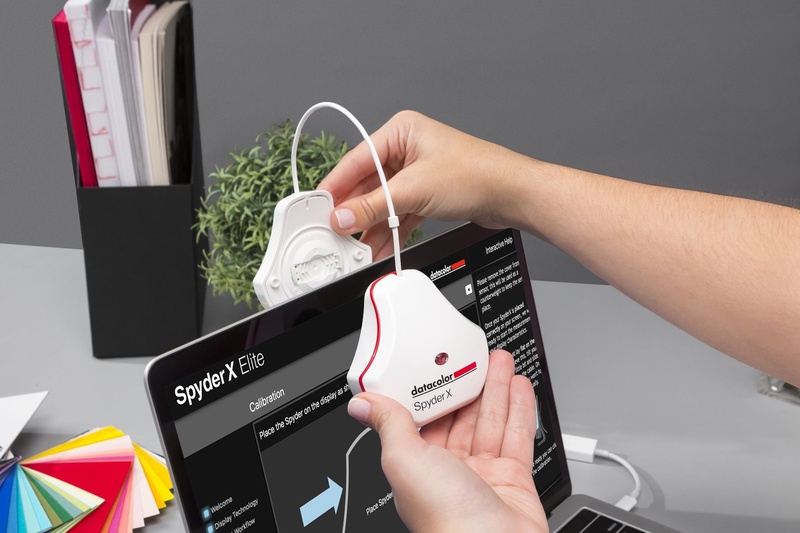 Of course, Datacolor also says the SpyderX is the most accurate calibration device around. With its lens-based color engine technology, the SpyderX "features higher light sensitivity and more advanced sensors." A built-in ambient light sensor also allows for adjustments to compensate for changes in environmental light. SpyderX comes in at just $20 above its predecessors. 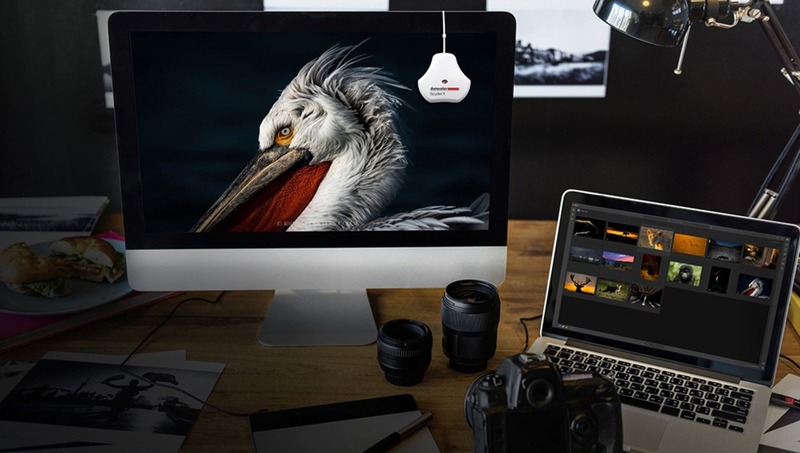 Available in Pro and Elite variants, we recommend SpyderX Pro ($169.99) for most photographers with basic monitor calibration needs. For $269.99, SpyderX Elite will do the same job with added support for creating profiles for projectors, simulating printed papers, definition of a standard to match multiple displays in a studio, and other more advanced calibration controls should you need that. If, like me, you already have a calibration device, you're loathe to buy another one, you're STILL only going to use a couple times a year at best. If you don't already have one, you're not likely to buy one now. Will be interesting to see how this measures up against the i1 Display Pro. But how many patterns it scan at that time? the x rite display pro also can get that fast (maybe faster) , but in advanced mode it able to scan much more patterns for more accuracy. that take it few minutes more (about 7 minutes for 450-500 patterns that is few times nore patterns than basic mode). Anyone, like myself, still using ColorMunki? I have ColorMunki and Spyder 5 Pro. I like ColorMunki's "feel" better. It's just more solid. The interface and results are similar. Or if you are too lazy - like me - I bought an Eizo monitor with built in calibration. Once a week my monitor calibrates itself without myself being involved at all. It happens 3.30am every friday. Now serious, it's a shame that a device your only using 3 times a year, has its support discontinued after a few years just because the vendor decides to not upgrade their software. i1 display pro and displaycal is still the best combo and you use it monthly NOT only couple times a year..
Oh man... I've been scratching my head thinking about whether or not to even bother with calibrating my newest monitor. My clients can't tell what's calibrated and what isn't and half the time I can't either.